Each participant will be a registered associate of 25% of four different horses. The purchase price per horse may vary, but all four horses must be purchased with the 80,000-Euro capital. If all four horses are purchased for less than 80,000 Euros, each owner will be reimbursed their portion of the capital remaining. Choice of which horse will run in which color to be determined by a lottery. Gina Rarick will train all four horses. Each participant will be responsible for 25% of the training fees of four horses, billed monthly. To facilitate purchasing, each member should make sure that their France Galop account has a balance of at least 20,000 euros. This to avoid any problems when a horse is claimed for the group. 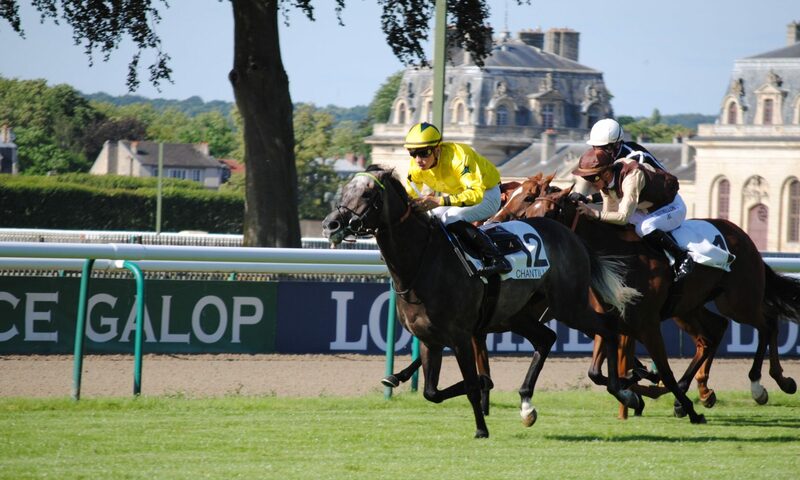 All racing accounting: distribution of prize money, collection of training center fees and racing costs, will be done by France Galop and will appear on your France Galop account statement. One or more partners may have their share bought by either a current partner or someone from outside the group. On the one year anniversary of the first horse purchased, if there is one or more horses still running, a vote is taken on whether or not to continue or to sell the remaining horse or horses.